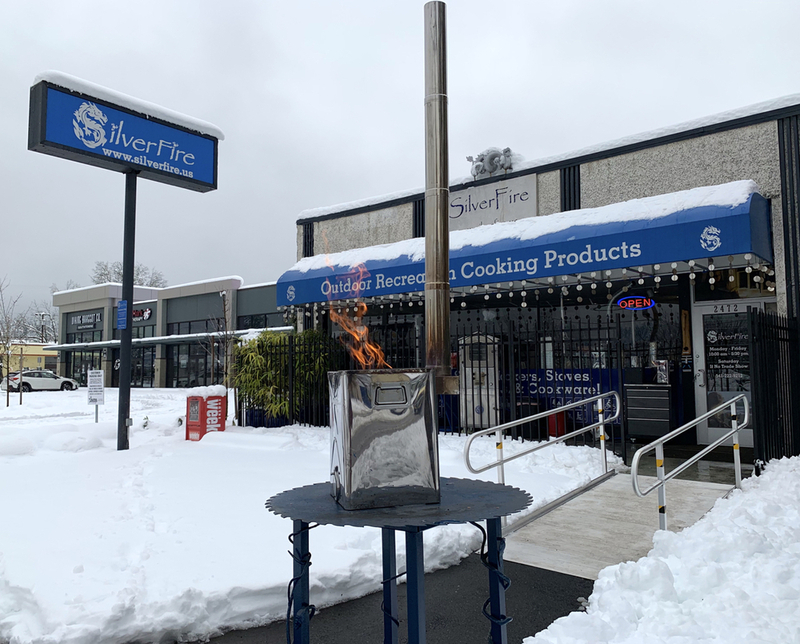 SilverFire® Hunter purchase includes four chimney sections and standard elbow (as shown in picture) to accommodate our Dragon Pot or 12"" wide SS Wok. Chimney sections collapse on themselves and fit inside combustion chamber for storage. Our Hunter maybe the most important emergency or disaster stove to own, since you cannot plan when a disaster may strike. 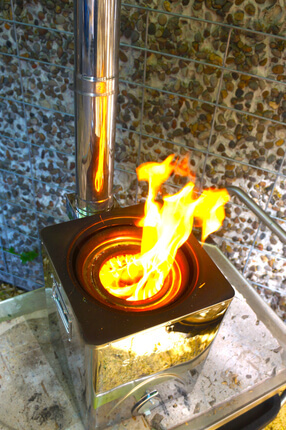 Outdoor Rocket & TLUD stoves without chimneys are fun and convenient to use in warm weather, different scenario in a real disaster, or in poor weather. Many of our customers want two burners and the Hunter Chimney stove used with the Survivor Rocket stove our a favorite outdoor kitchen cooking combination. 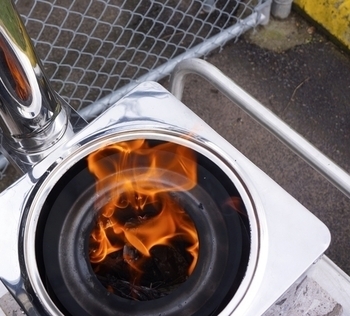 Dishes requiring more oversight may be cooked on the rocket stove, while large water bathes and viscous dishes like chili's & stews may be left unattended on the Hunter Chimney stove during low firepower operations. The option to cook inside is very important, and eliminate all household emissions to protect your family's health is critical. It may not be safe to go outdoors and the ability to cook indoors is important. The ability to cook indoors under shelter is a key advantage over stoves without chimneys. 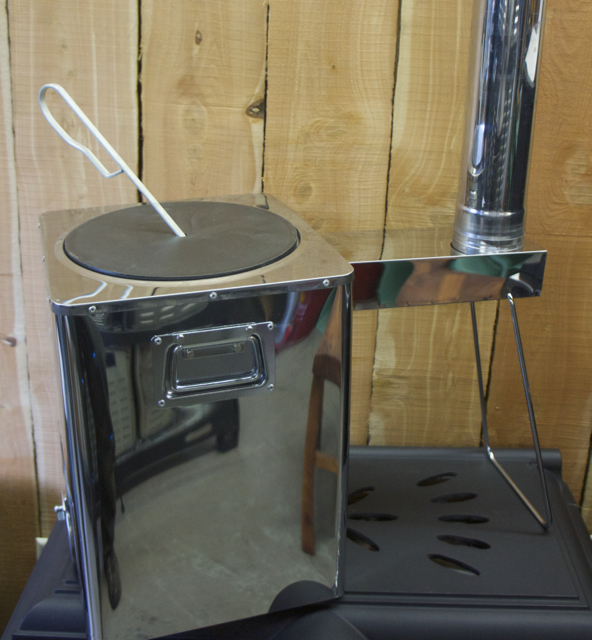 Most rocket stoves & TLUDs sold do not have chimneys and are designed for outdoor use only. 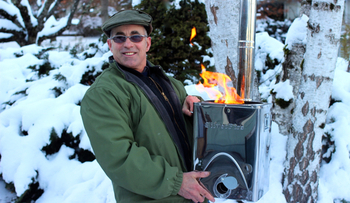 TLUD designs are faster cooking and cleaner burning than rocket stoves. 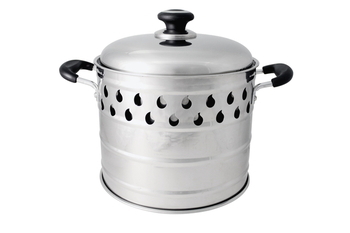 Our portable cook stoves are insulated with light weight insulation is primarily designed for cooking. By adding thermal mass to the Hunter Chimney stove (cast iron plate, salt block, or pot of water), it is possible to heat a small space. The Hunter is easy to light, easily adjusted, lightweight, and cooks very rapidly. Thin tight packed fuel produces a very rapid boil. 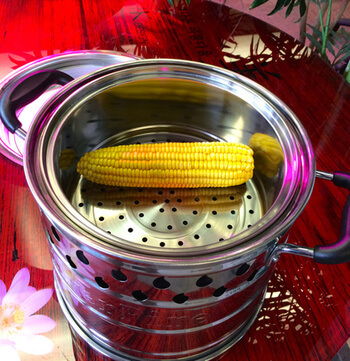 It has the ability to boil 2 gallons of water faster than the largest burner on your gas or electric cooktop. 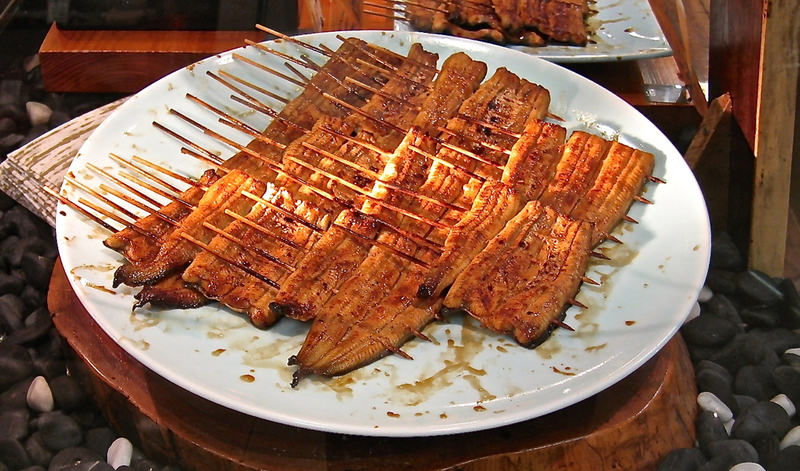 In the event you want to slow the cooking process down (e.g. slow cooking with cast iron) add thicker, dense fuel into the combustion chamber. Dense material takes longer to burn, ideal for slow cooking. Combustion in the Hunter produces very little smoke or soot, if using dry fuel. The beauty of the Hunter is that the first 20 - 40 minutes of cooking is high fire power (boiling operations, browning meat, etc...), then for the next two hours a wonderful diminishing, simmering heat is present (low fire power cooking). The stove is dialed in for maximum cooking performance. 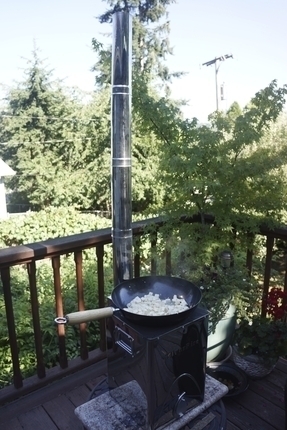 At any time, you can also just add more fuel and primary air to stoke the stove back up to high fire power cooking too! Just add fuel and open the ventilation door a couple of fingers to add primary air is all that is required. This stove is very intuitive and straight forward to operate. 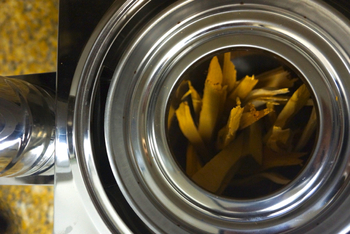 At the end of cooking, invert the stove to dump out the small amount of fine ash residue from the bottom of the chamber. 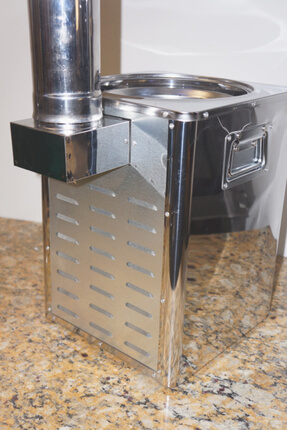 The Chimney is divided into 4 small sections to accommodate handling this lightweight, easy to mange stove (14 lbs). 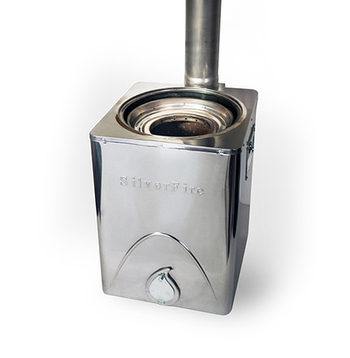 It is approximately half the weight of most rocket stoves on the market, due to the quality lightweight insulation, stainless steel construction, compared to other manufacturers using mild steel and cheap clay for insulation. 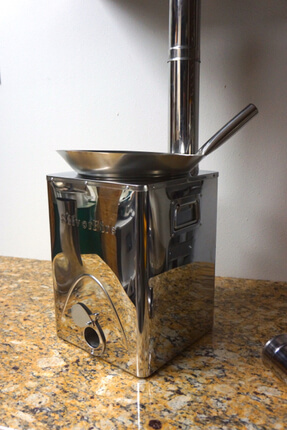 The combustion chamber is large and wider than our rocket stove, once embers are established, a great grilling stove with grill plates, Himalayan salt blocks, and other gourmet cookware. There even is a a smoker (Ziv's) that is compatible with the Hunter for smoking. The cooking flexibility of the Hunter is endless. TLUD technology has been around for over 100 years. Primary air passes through your fuel as it combusts in the combustion chamber and becomes carbon monoxide gas. The carbon monoxide gas is then burned and mixed with the preheated secondary air, above the fire. 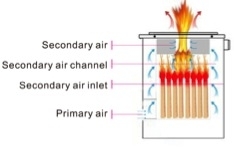 The secondary air combustion appearance is like a gas stove and is know as a Chinese burner. 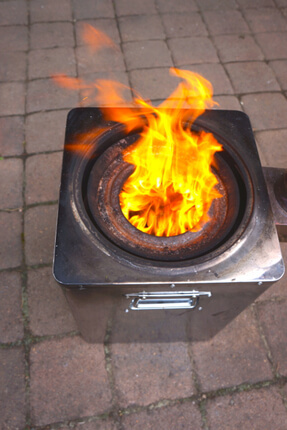 The end result of your biomass fuel is to produce minimal amounts of ash, soot, and bio-char, which is required to be removed from the stove after cooking for maximum stove performance. 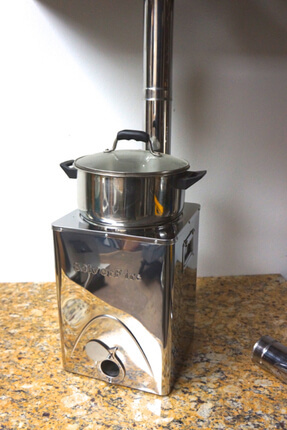 Best of all unlike a rocket stove, the Hunter does not require continuous side feeding of fuel into the stove (as required with rocket stoves), or monitoring while cooking (since it is a top lit batch stove burning downwards like a candle for prolonged burning durations). This means you ares free to prepare other dishes or culinary tasks. The Hunter may also be used indoors if venting all emissions outdoors through the chimney. 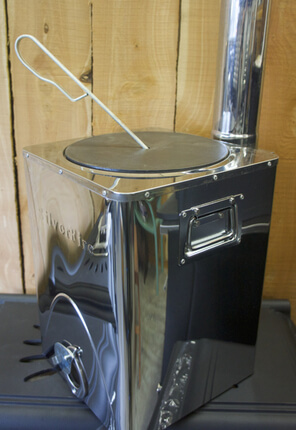 The 3” chimney consists of an elbow piece that inserts into the back of the stove, and four individual stacking sections. Each chimney section is numbered. Most hardware stores carry standard off the shelf 3” chimney pipe & elbows to configure your specific installation requirements. Double walled, insulated chimney pipe not required. 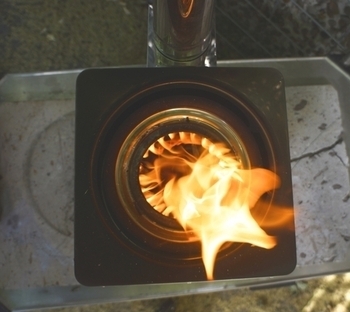 Refer to chimney installation recommendations for specific tent stove application. Keep hot chimney away from nylon or other low melting point fabrics. 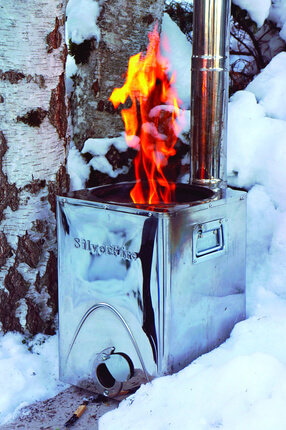 Find Hunter Stove options under the SilverFire: Accessories link! By customer request, cast iron insert plate and handle and extended chimney elbow to accommodate massive cookware are available! 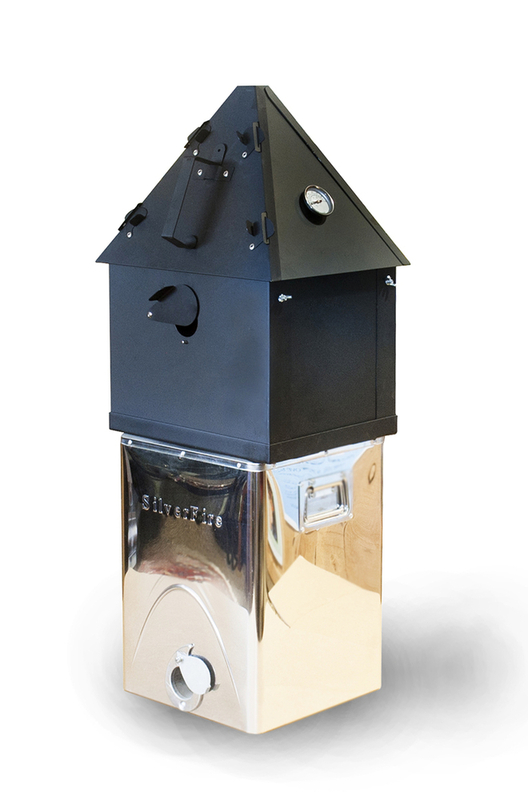 The founder of StoveTec® rocket stoves created the SilverFire® organization to bring you the state of the art in an indoor or outdoor biomass chimney stove, as well as many other advanced designs after working with inferior StoveTec / EcoZoom products. 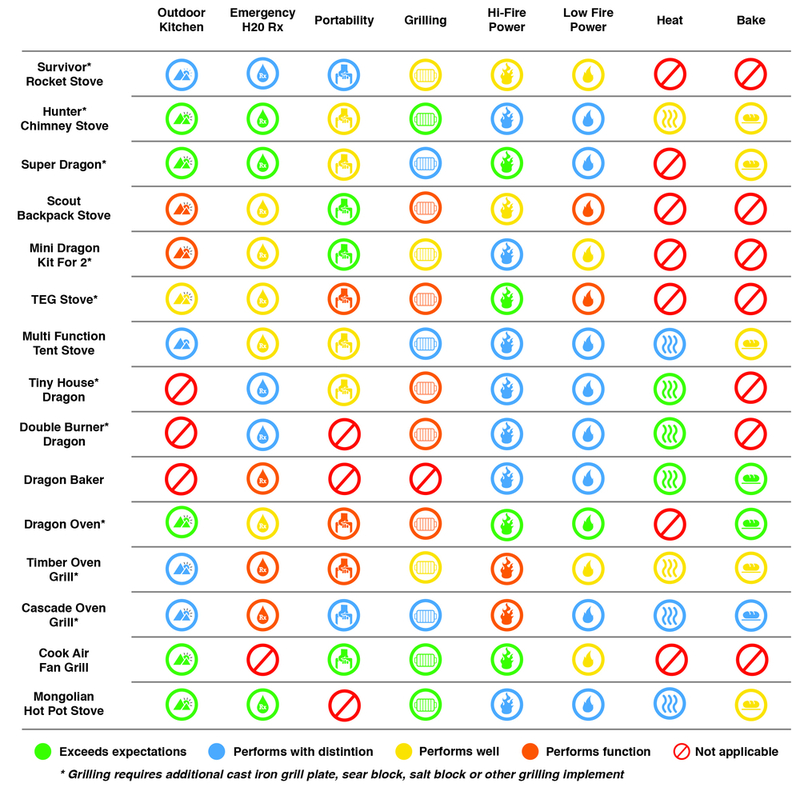 The SilverFire® quality clean cook stove organization represents significant advances in clean combustion technology, performance and durability. 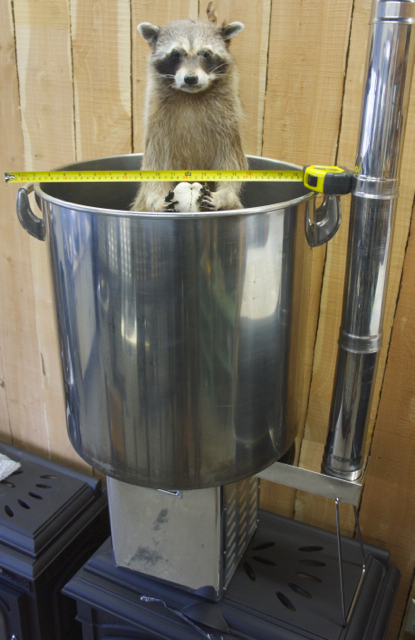 Extended chimney option shown above to accommodate exceptionally large cookware (shown with 24" diameter stock pot). Always feel free to call with questions 10AM - 5:30PM Pacific Time Zone, Monday through Friday regarding our products. We are also usually in on Saturdays 10AM to 2PM, unless participating in a trade show or other business activity. We have an optional Hunter stove bag listed under our Accessories listens, along with a stainless steel grille, stone grille, salt block grille, & Dragon Pot. Our Oregon made Hunter Stove Bag is a fantastic survival bag! You can count on this multi-function bag in emergencies, for recreation, or just to protect your stove. It is also a combo cooler or thermal cooker with a middle layer of insulation on bottom, sides, and top! It also will protect your stove. The exterior ballistic shell is padded & rugged! 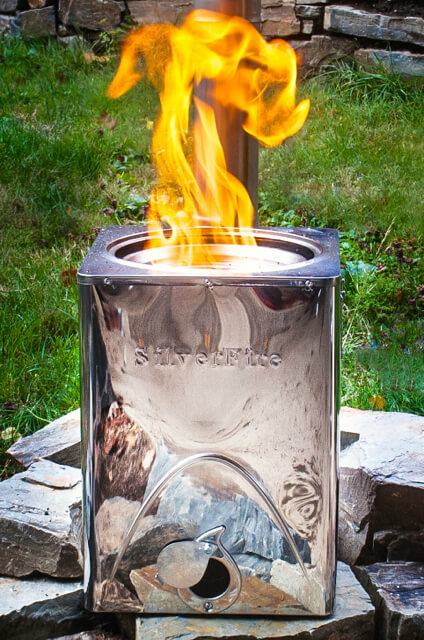 This custom bag was specially designed for the SilverFire® Hunter stove! The custom insulation is designed both for for cooking food as a thermal cooker / hay basket*, or you can choose to fill it with ice and use it as a cooler! It can be used as an emergency water vessel to carry water, or use it as a protective storage bag. We designed other stove bags and there is no other products like these available anywhere. See all the options available for this stove under ACCESSORIES! 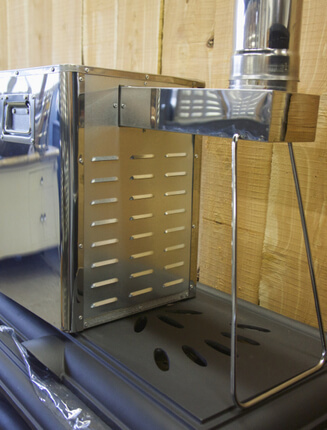 * Thermal cooking is an efficient way to cook using insulation or hay. After pot brought to temperature it can be inserted into a bed of hay inside the insulated bag for several hours. Please call for shipping quote to Alaska, Hawaii, & Puerto Rico for additional FedEx or USPS shipping fee total. Please call or write for all International shipping quotes. Gourmet Off-Grid Smoking, yes possible on the Hunter! This smoker box is available on Amazon, it flatpacks in a little plastic briefcase. It is called Ziv's Portable Smoker. 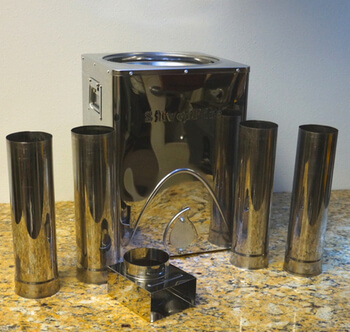 It has the right geometry with hardwood flavored smoking pellets or chips for gourmet smoking. 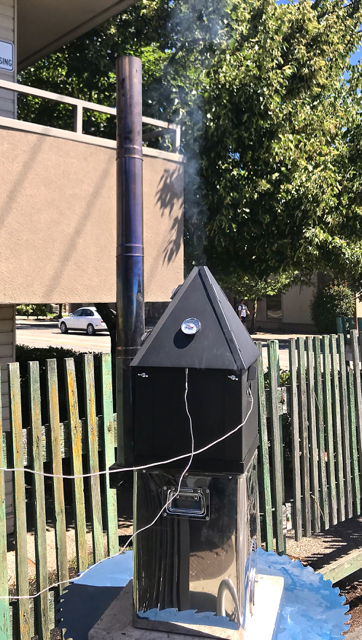 We recommend using the Hunter cast iron plate insert option or waiting for low firepower phase cooking with the Hunter to prevent warping the smoker box. Fantastic gourmet smoking with a handful of fuel! Box ideal size place on top of Hunter as the heat source! Too much fun! Off-grid smoking!